About Hillary | Ascension 360º - Navigating the New World Energies! Hillary Harris, Founder of SOUL PURPOSE, is an internationally acclaimed Prosperity Coach, Intuitive Strategist, Transformational Speaker & Spiritual Life and Soul Purpose Guide. With 20 + years as a catalyst inspiring others toward their dreams, Hillary empowers clients and audiences alike to find their own ‘soul’utions for effortless success, unlimited abundance, and deep and authentic fulfillment. Though formally beginning her coaching and guiding work by establishing her business in 1998, Hillary has known she was destined to be on an important spiritual path as a Lightworker since she was very young. Following an intense transformative experience in 2005, her core “Soul Purpose” was activated and her work deepened. It was then revealed that her next role would be that of an Ascension Activist, New Frequency Activator and Higher Dimensional Sherpa – a being called to the planet at this unique time in our evolutionary history to create/re-create, build and lay the new foundation and then lead the way; guiding souls and the planet itself through the process of opening to the new Heart energy and ascend into a new vibrational multi-dimension and higher state of consciousness. This most unprecedented of journeys is not only a raising or Ascension in vibration and elevation of awareness, but also a Descension – from human being as operating in our rational, strategical, thinking head-space to beings intuitively trusting and guided by our instinctive, Knowing, Feeling Heart-space. For the past 16 years, Hillary has been a popular guest as a Prosperity expert on terrestrial and Internet radio shows across the country. Committed to further sharing her voice during this unprecedented planetary shift, she has reached global audiences and hundreds of thousands of individuals worldwide with her LIVE show on both VoiceAmerica and the Contact Talk Radio Network, as well as with broadcasts and podcasts presented on this site that she designed specifically for you – her cherished fellow ‘Soul’Journers. Bringing insights, information and a new world view to empower you, Hillary created Ascension360.net – offering an expanded version of the information she presents to you on the air to further ease you into these New World energies and support and sustain you as you continue to awaken. 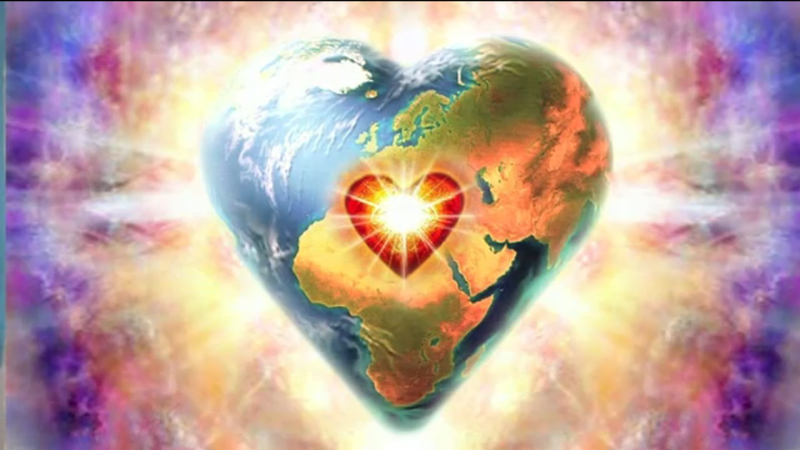 Ascension360.net is the place to go to BE ‘in the Know!’ It is your place to gather and connect energetically with other like-hearted, vibrationally-aligned souls who are sharing your experience and this extraordinary journey. My highest purpose and greatest privilege at this most unprecedented time in our evolution is to serve as the manifestation of the voice of your deepest wisdom and purest Heart’s Knowing; to mirror back the highest part of you, reflecting the essence of your God-self, reminding you of the true Source of All That Is; guiding you to your authentic truth, passion, heart’s desire, New World calling and Soul Purpose expression. In fulfilling my purpose and delivering my messages to you, your journey of healing, expansion and ascension into higher consciousness and into the New World, New Era, the Fifth Dimension and the Golden Age of Light will be activated and accelerated. For an individual telephone or Skype intuitive session reading with me regarding your specific Ascension Symptoms and/or experience, click here for details and information.